Retaining Walls are for Beauty Too! 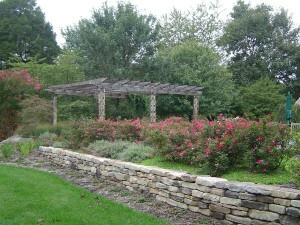 Retaining walls are often thought of as utilitarian and for merely holding back soil. But you can use them to create beautiful outdoor living spaces and incorporate multi-use spaces. They can be straight, curved, multi-level, or anything that you can dream up. Our retaining walls are built to last and we custom build them to fit your liking. Add depth and character to your outdoor home with a retaining wall that is a custom design and truly a work of art. Call F.A. Hobson Landscaping at 410-739-6800 for a free estimate and let’s get your property looking amazing for 2018!